Life on the African plains is a constant struggle, and for a single mother rearing her offspring, the odds seem to be stacked against them. 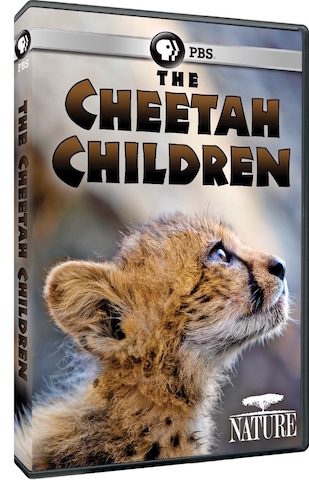 This is an inspiring tale about motherhood and family, as we follow a cheetah family on the grasslands through the eyes of conservationist and cameraman Kim Wolhuter. The Malilangwe Game Reserve in Zimbabwe, where the film takes place, is a dangerous place for cheetah cubs, as the 200-square-mile area is filled with other predators. Cheetah mothers do not have partners or sisters to assist in feeding and protecting their cubs, and this mother cheetah is completely on her own, protecting her five newborn cubs and teaching them how to hunt some of the continent’s fastest game. She has just over a year to teach their young to survive in the wilderness without her. Viewers watch as the inquisitive cubs explore the world around them and discover their place in the forests of Zimbabwe. Over time, two sister cubs survive and develop into brave and successful predators ensuring their species will give birth to another generation. Nature is a production of Thirteen Productions LLC for WNET and PBS. For Nature, Fred Kaufman is executive producer. Bill Murphy is series producer. 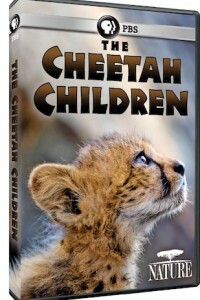 Nature The Cheetah Children is a production of Hat Creek Productions in association with Mavela Media for Thirteen Productions LLC and BBC Studios in association with WNET. Chris Morgan is narrator. Robyn Keene-Young is writer and director. Adrian Bailey and Kim Wolhuter are producers. Kim Wolhuter is also cinematographer. Matt Meech is editor. Original music by Alan Lazar.